Prospecting for gold is something that just about everyone has wanted to try at least once. As a hobby, prospecting offers a special excitement. There is a constant hope that the next pan will hold that bonanza you’ve been dreaming about. No thrill can compare with the excitement of seeing even just a few flakes of gold glittering in the black sand at the bottom of your pan. 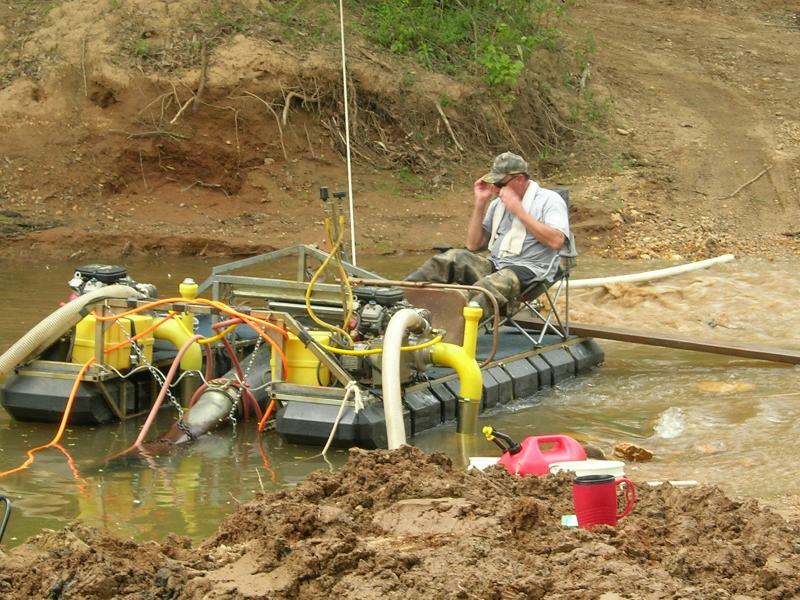 Located in the heart of Alabama’s gold belt, with miles of creek to pan, sluice, dredge, high-bank, and metal detect. If you’re looking for a family style outing, there’s a great spot you may want to check out when making your prospecting plans. The Alabama Gold Camp is located in the eastern part of the state just off Interstate 20 near Lineville (www.alabamagoldcamp.com). It’s a nice facility that offers various forms of gold prospecting at reasonable rates. Dredges up to five-inches, High bankers, sluice boxes, gold pans, and metal detectors are all allowed. (You can even rent the dredges and high bankers at the General Store if you don’t want to pack in your own.) When you get tired of prospecting you can try a little horseback riding, explore some hiking trails or just kick back and relax in your campsite. There are at least two gem mining spots in Alabama, and I would think more potential locations. please include and update your site for reference. thanks. Hi Frank, thanks for visiting my site. I am not affiliated with any of the sites listed here. I simply put them all in one place so people can find them easier. If you would like to leave a message for the Alabama Gold Camp, please visit their website. You can find the link above.